Fire dancers and fire performers for hire! 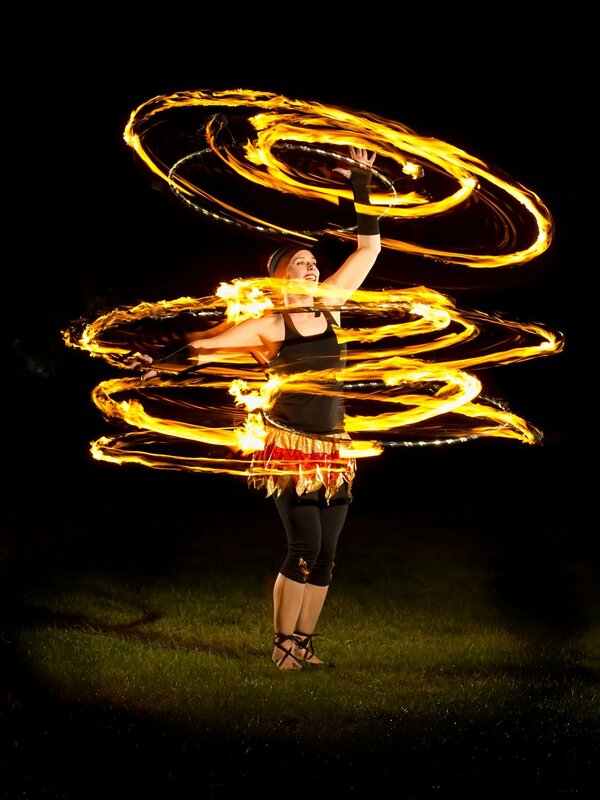 Our exciting Circus fire performers will leave you and your guests mesmerized. Combining circus acrobatics and fire dancers with fire eating, juggling, fire breathing and much more! Beautifully choreographed fire shows are the perfect addition to all events. Whether it be a wedding, corporate event, hotel residencies or a private party, these shows always impress and fit the occasion perfectly. Shows available for both indoors and outdoors! With our indoor shows safety is our utmost concern, We will communicate directly with your venue to discuss risk assessment, insurance and everything needed to make your night go off without a hitch. 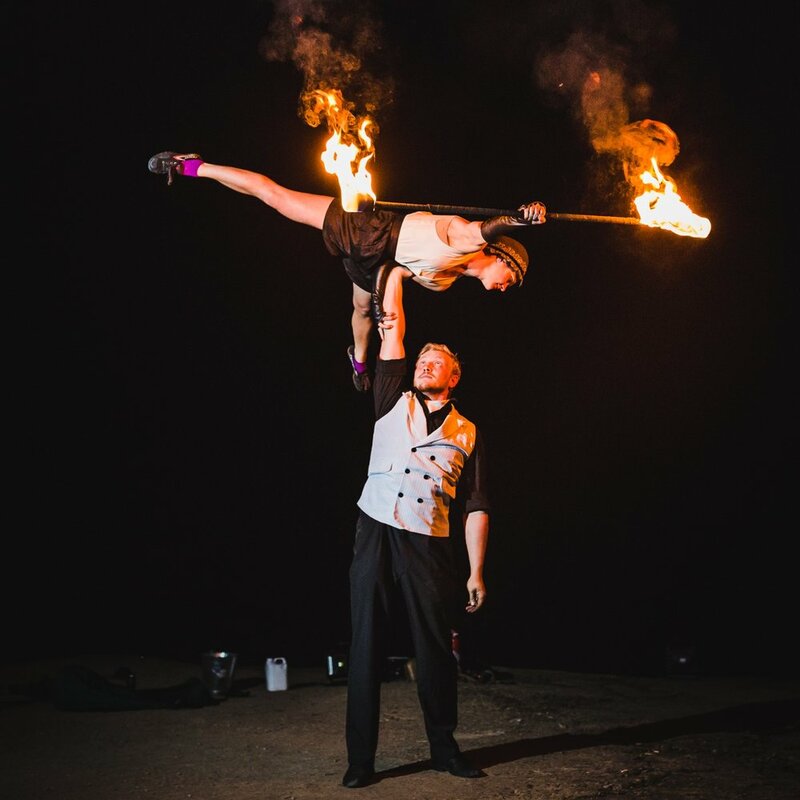 At Circus Uncertainty, we have access to a whole host of fire dancers, fire shows and entertainers based across the UK. All of Circus Uncertainty’s UK fire performers go through a strict vetting process. This means that all our circus acts are of top quality, fully insured and fully risk assessed. We have performed at many of the UK most prestigious venues from listed buildings to multi million-pound sky scrapers. All our fire dancers are currently UK based but can travel anywhere. Perfect circus performers from one of the UK's leading entertainment agency. If your looking for a big show for the end of a night or just before a wedding reception you've come to the right place! Fire Show, Fire acts, Interactive show and ambient? Which is right for you? Fire performers can offer lots of different styles and types of performance this can mostly be split into 4 categories. Fire Shows- Fire shows are both interactive and set to music. This type of show generally lasts longer than acts and interactive shows at between 20 mins- 1 hour. The circus performers who can handle this type of performance are at the top of there game, they are very comfortable holding a stage for a long time. These are great for when you have a crowd in a comfy position expecting a show. Weddings are a perfect example of this. Not all shows contain fire breathing so please request this if it is necessary. Interactive show - Interactive shows are usually not set to music and involve a mixture of props and audience participation. These type of shows feel more like a street show you would see at convent gardens. These are usually the most suitable types of show for a small audience (100 pax or less). Ambient - Ambient fire performers are used to add a sense of ambiance to your event. Using there props not set to music and with minimal interaction with the audience. This is the type of performance you would see greeting guests upon entry to an event or performing in the background of an event. Generally, ambient performance is performed for 3 x 30 minute sets over a 4 hour period. Whether its a fire show, a group of fire dancers or a single fire performer, we can provide you with top quality entertainment using a wide range of interesting props. Stage pyrotechnics are also available to add that really special big finale! Many of our performers have some of the most unique props available in the UK including giant cubes, whips, charcoal dancing, chaka and many more unique and amazing props. We can supply you with everything from fire dancers to fire jugglers, fire breathers to pyrotechnics. Most of our fire performers are available for both indoor and outdoor shows although indoor shows may require additional site visits and risk assessments and is not always guaranteed that the space will be suitable. In the event that the space is not suitable, we can always offer an LED performance which is similar in terms of props and performance but without the dangers involved in this type of performance. If you have any concerns regarding hosting this type of performance please feel free to give us a call. We would be more than happy to talk you through our set up process, safety requirements and how we keep ourselves and our audience safe at all times. We are very happy to boast performing thousands of shows without a single injury. Fire dancers, fire perfromers and fire eaters for hire!